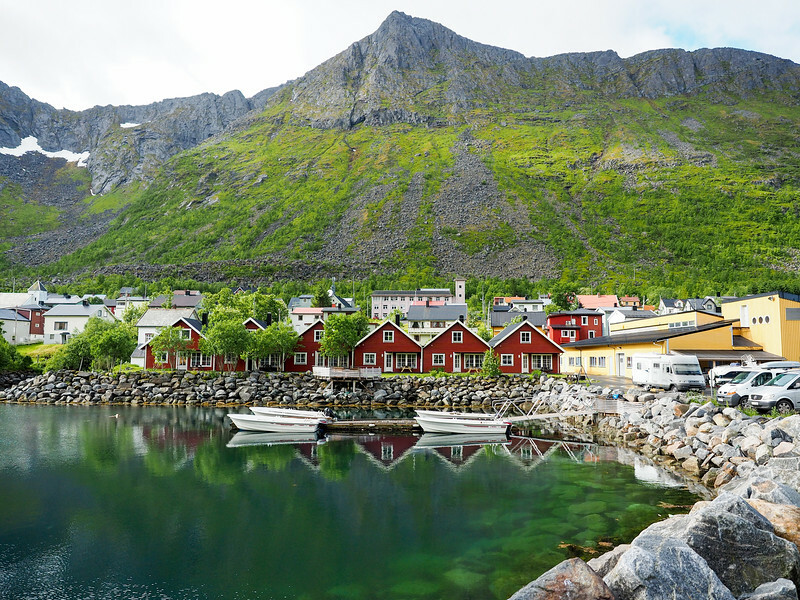 When most people hear “islands” and “Northern Norway” in the same sentence, chances are visions of the now-famous Lofoten Islands are likely to pop into their heads. In fact, if you go and Google “northern Norway islands,” the very first result that comes up is about the Lofoten Islands. Now, I have nothing against the Lofotens; in fact, I haven't even been there! I know they are beautiful in any season, and that Instagram has put them on many travelers' bucket lists. 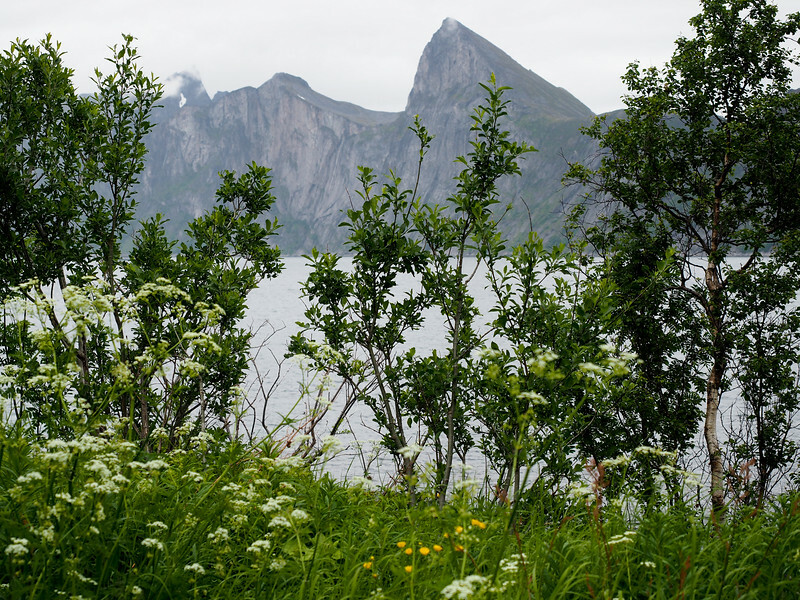 But here's the thing about Norway: there are tons of OTHER amazing islands in Norway's north, too – and they aren't nearly as crowded as the Lofotens in the summer months. When I was talking about my third trip to Norway with the team at Visit Norway, the Lofoten Islands were at the top of my wish list. I had already explored Oslo and the fjords, and had already visited Tromsø and Alta during the winter. 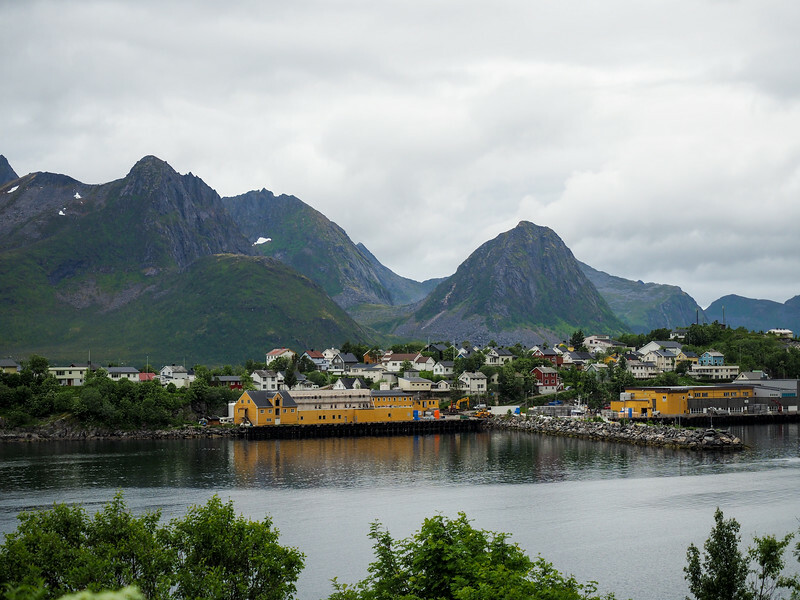 On this trip, I really wanted to explore the picture-perfect Lofoten Islands. But when my travel dates had to be shifted from late May to early July, I was advised that it was just going to be too busy in the Lofotens. 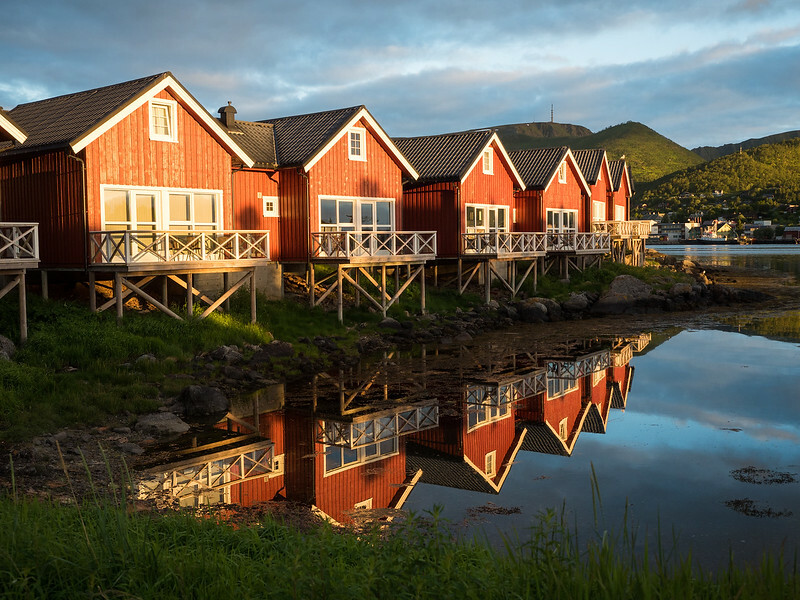 The Lofoten Islands are made up of a string of small fishing villages, where fishing is still the main industry; the islands' infrastructure was not built with mass tourism in mind, and so the most popular spots are beginning to be inundated with selfie-seeking tourists during the high season. Tourism can be great for local economies, sure, but it's not really ideal for anyone (locals OR tourists) when places begin to feel cramped and crowded because of a sudden influx in visitor numbers. No crowds to be found here on Senja! 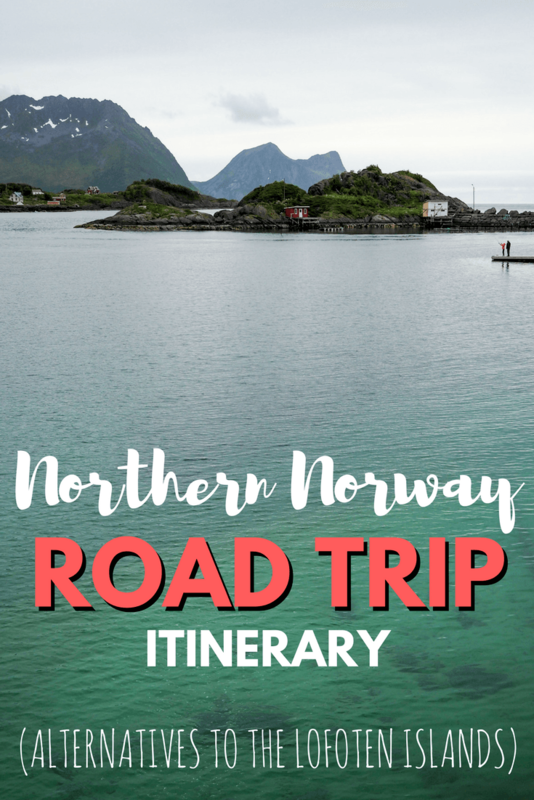 After a lot of consideration, I decided to go along with Visit Northern Norway's suggestion of road tripping to some of the region's OTHER amazing islands, saving Lofoten for another time. And damn if this didn't turn out to be one of my favorite trips to Norway! 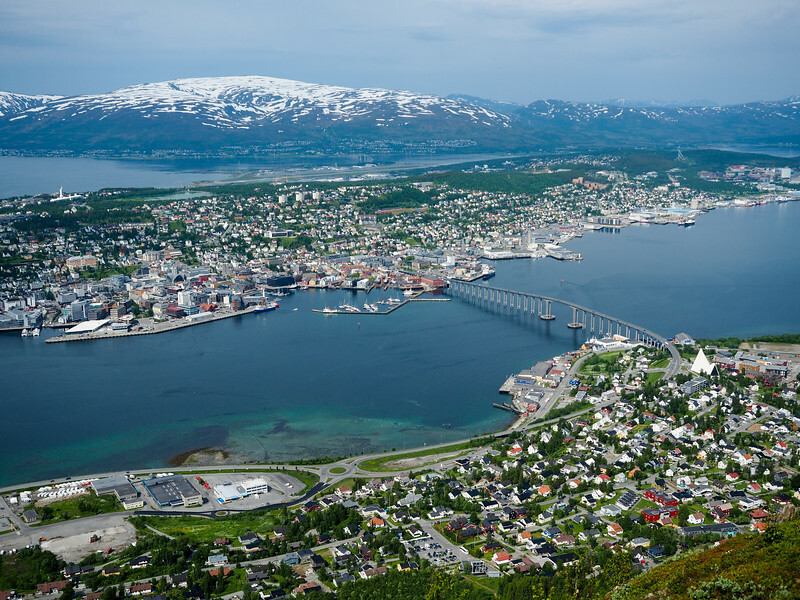 The best jumping-off point for a road trip around this part of Norway is Tromsø. You can hop a flight here easily from Oslo (or quite a few other places in Norway and the rest of Europe), and even though the airport is very small, several rental car companies operate right out of the long-term parking lot. And now on to the road trip! The great news is that you won't be doing hours and hours of driving with this itinerary, meaning you can really see a lot in just one week. 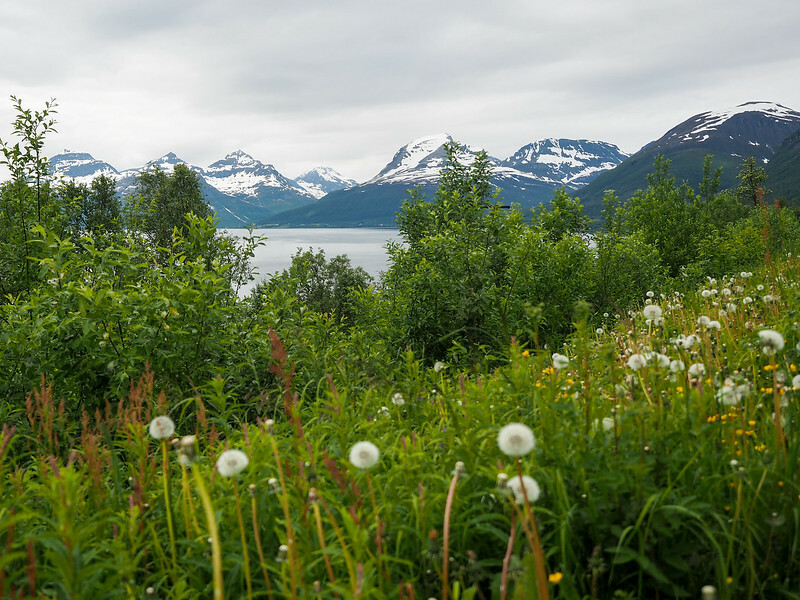 On Day 1, head out of Tromsø on Highway 862, which will lead you past the airport and alongside a few fjords and mountains. 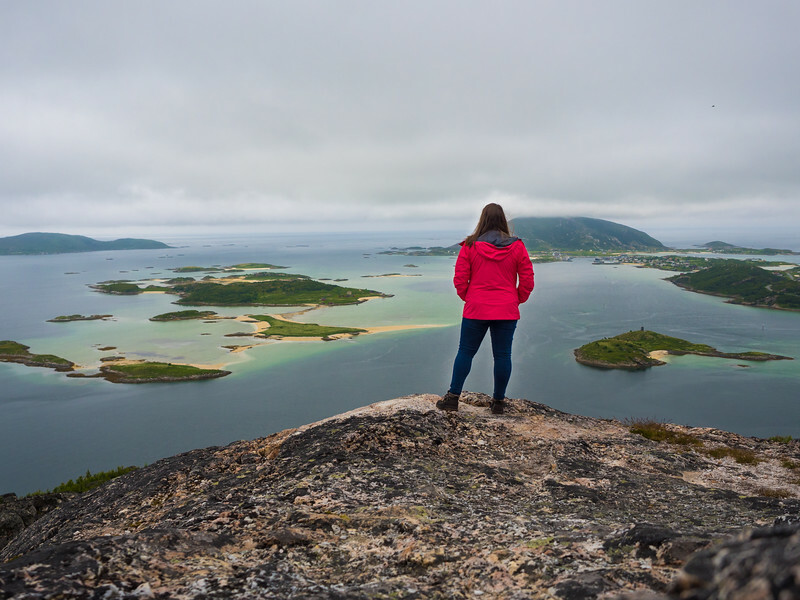 If you're up for a short hike with awesome views just before you reach your final destination, I highly recommend climbing Ørnfløya, a medium-sized hill that offers up views over the island of Sommarøy and the bridges leading to it. You'll turn left on 862 (instead of right, which is the way to Sommarøy), and there will be a pull-off less than 100 meters down the road, with the trail starting across the road to your right. I did this hike in about an hour, which included plenty of time at the top for photos. 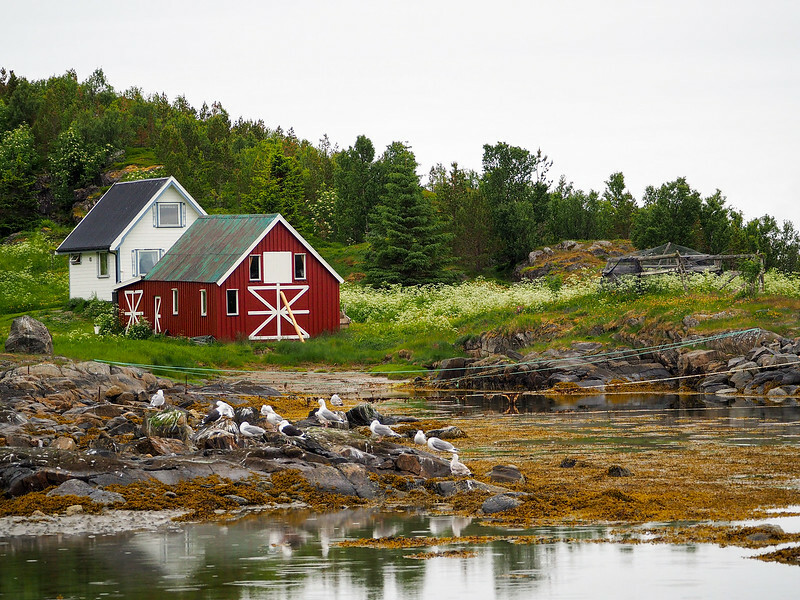 Then you'll continue on to Sommarøy, one of northern Norway's best-kept secrets. 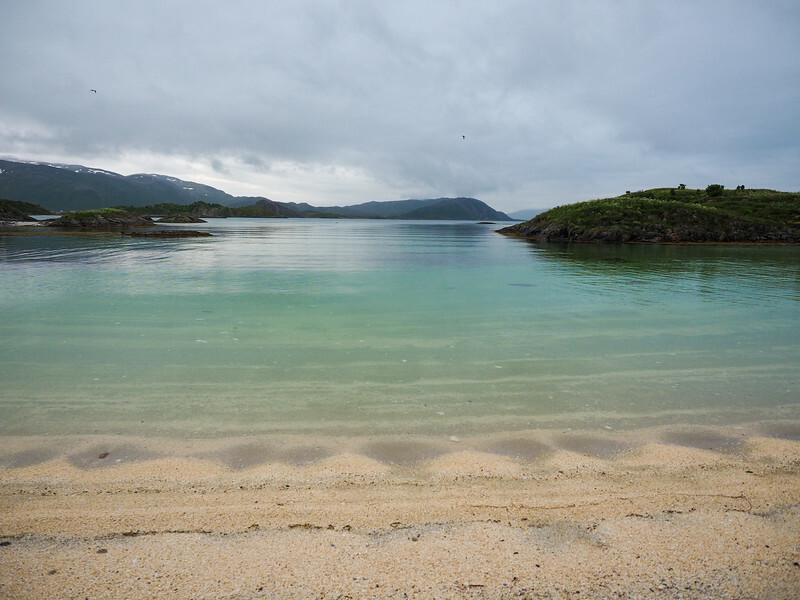 This little island is quiet and beautiful, and yet virtually void of tourists, even in July. Sign yourself up for an evening (or maybe evening midnight sun!) kayak tour with 69 Nord Sommarøy Outdoor Center, and admire Sommarøy's green water and white-coral beaches. The beaches here aren't warm, but they sure are beautiful! The view from my room at the Sommarøy Arctic Hotel! I'll warn you right now that you might not ever want to leave Sommarøy once you get there, but I promise that Day 2 will be just as beautiful! 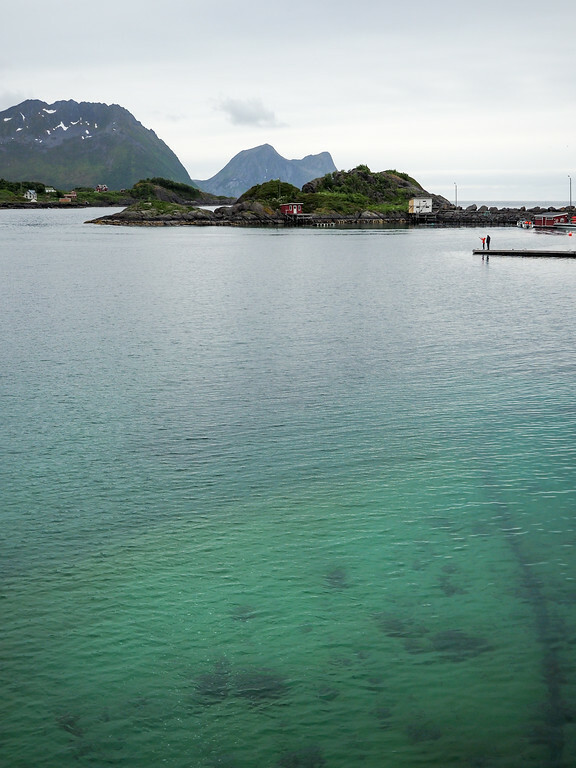 Start your day with breakfast at the hotel, and then a ferry ride to the island of Senja. The ferry terminal is at Brensholmen, which is only a 15-minute drive from Sommarøy. You'll want to catch a morning ferry to make the most of your day. I caught an 8:45 a.m. ferry, and showed up at the small ferry port about half an hour early just to make sure I got on (I had no issues!). Check ferry times here – this ferry usually runs from April to August multiple times per day. The ride to Botnham on the island of Senja took about 40 minutes (and you buy your tickets onboard in the little cafe area). Once arriving on Senja, I was told to “turn right and follow the road until it ends.” In reality, I was headed for the fishing camp operated by Northern Adventure Troms in the tiny settlement of Laukvik. Here, owner Jan Viktor Nilsen has built up a fishing resort on land that has been in his family for generations. 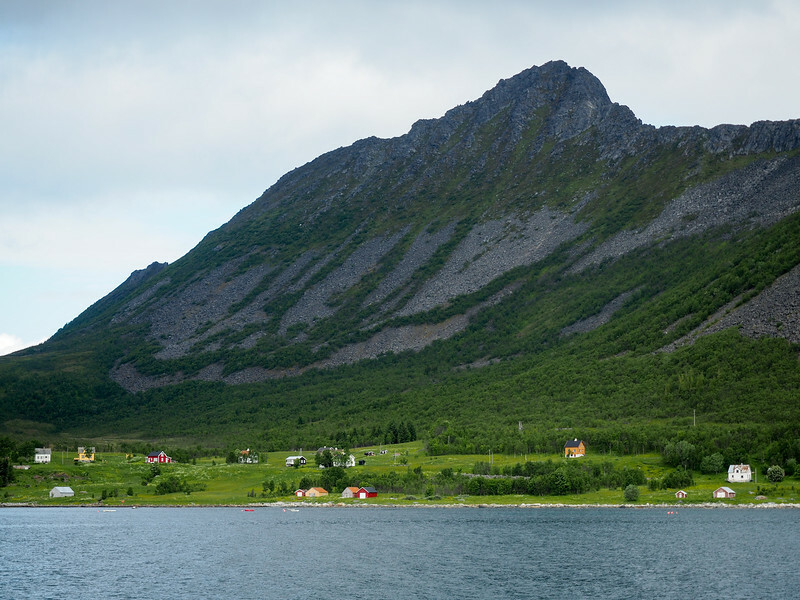 You could certainly book a guided fishing trip here (very popular in this part of Norway! ), but I opted for something a little different: a sea eagle safari! 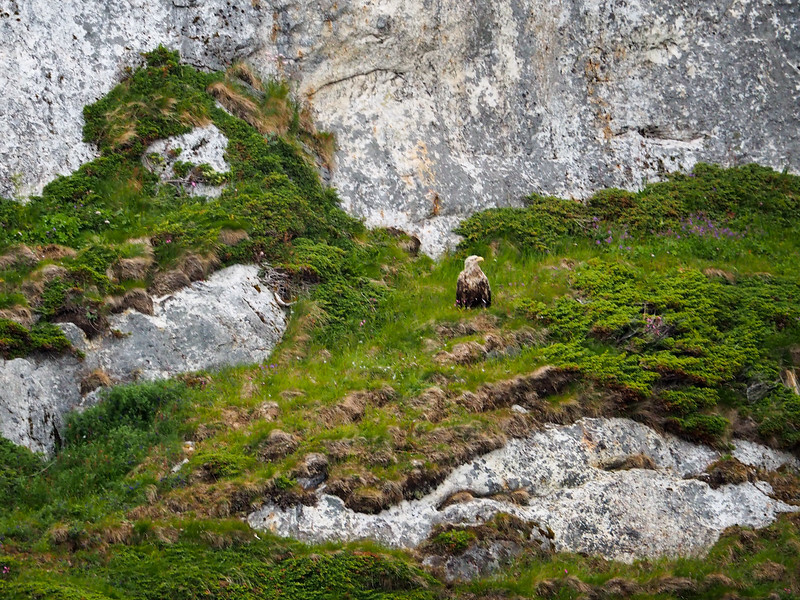 We headed out on a small boat for the island of Hekkingen, where giant sea eagles can often be found. Your guide will try to lure eagles close to the boat with fresh fish, so be ready with your camera! Can you spot the eagle?? No eagles decided to come up to the boat while we were out, but we did see a lot of them and the mountain views were still incredible. 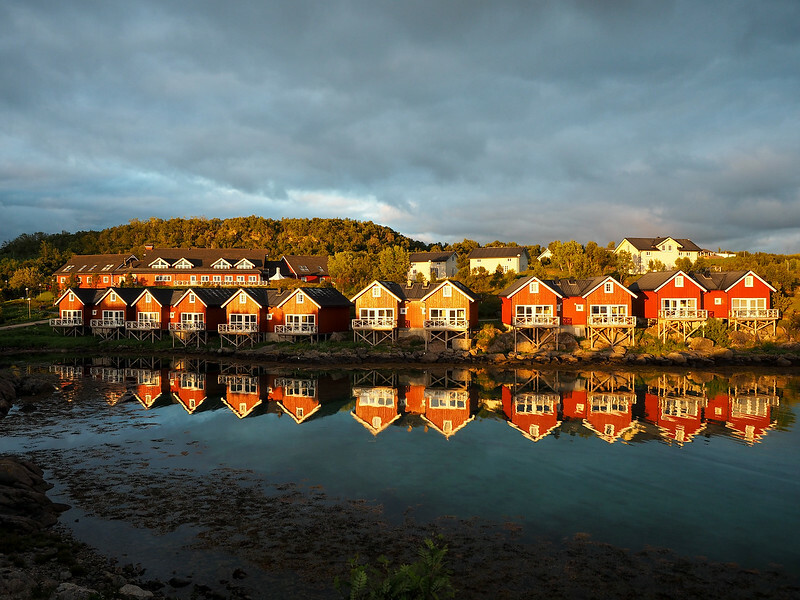 From there, I recommend heading to your accommodation for the night, which is a resort called Hamn i Senja. To get there, you'll drive the Senja National Tourist Route (still Highway 862) along the coast, which is a stunning drive in and of itself. You'll be tempted to stop a lot, no doubt, but I actually recommend restraining yourself if possible so you can fully explore Senja on Day 3. Another reason to get here early? To fully enjoy these rooms! You could technically fit in some Senja sightseeing on Day 2, since you drive the National Tourist Route from Laukvik to Hamn i Senja anyway. But I can tell you from experience that this will make your day far too rushed, especially if you take a later ferry from Brensholmen and/or go on that sea eagle safari. Therefore, I recommend dedicating Day 3 to exploring Senja at a more relaxing pace. Make your first stop at the famous Senja Troll (probably Senjatrollet on your Google Maps), which is only a 10-minute drive from the hotel. 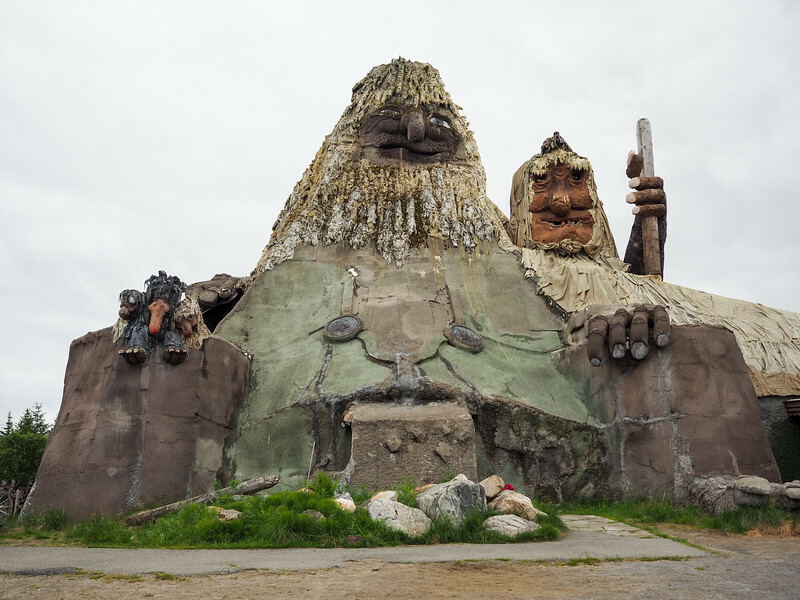 Here lives the largest troll statue in the world in a kooky “troll park” created by Leif Rubach. Talk about a roadside attraction! The largest troll in the world! 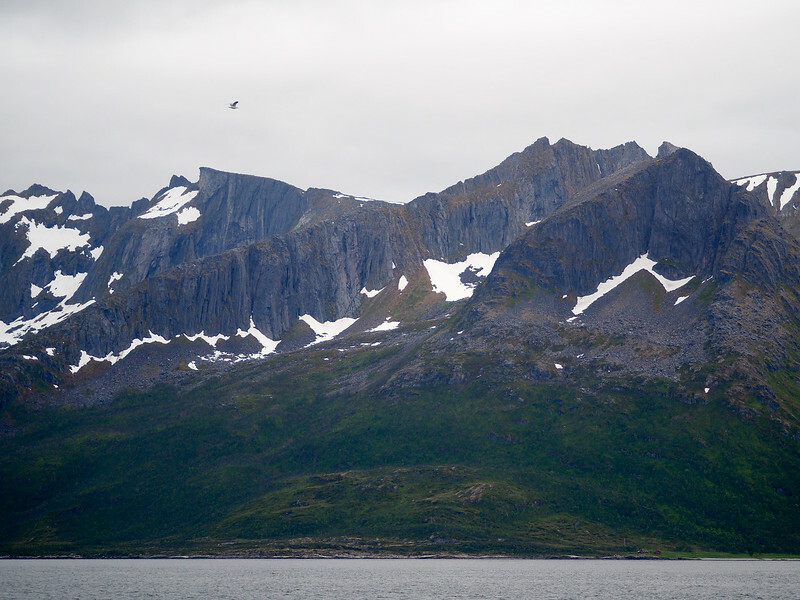 Next, head back onto the National Tourist Route along Senja's northern coast. 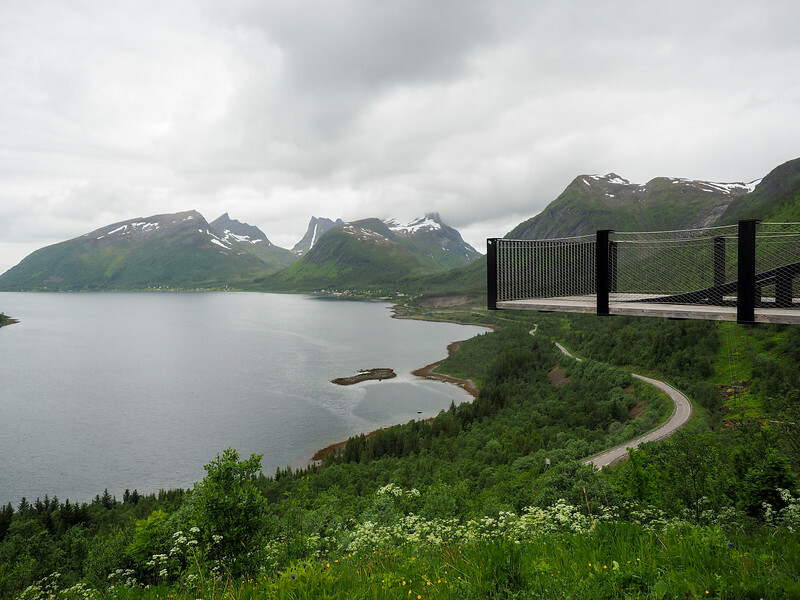 The next point of interest will be the Bergsbotn viewing platform, which is a 44-meter-long platform with views out over the town of Bergsfjord and the surrounding peaks. The downside of traveling alone is that you can't always get photos of yourself at spots like this. You may want to make a detour off the tourist route to the lighthouse at Bøvær, where you'll also find some pretty beaches. Just be warned that the road to get there is extremely narrow and winding, so be prepared for some white knuckles on your steering wheel. Maybe the beach is so empty because the roads to reach it are so scary to drive! 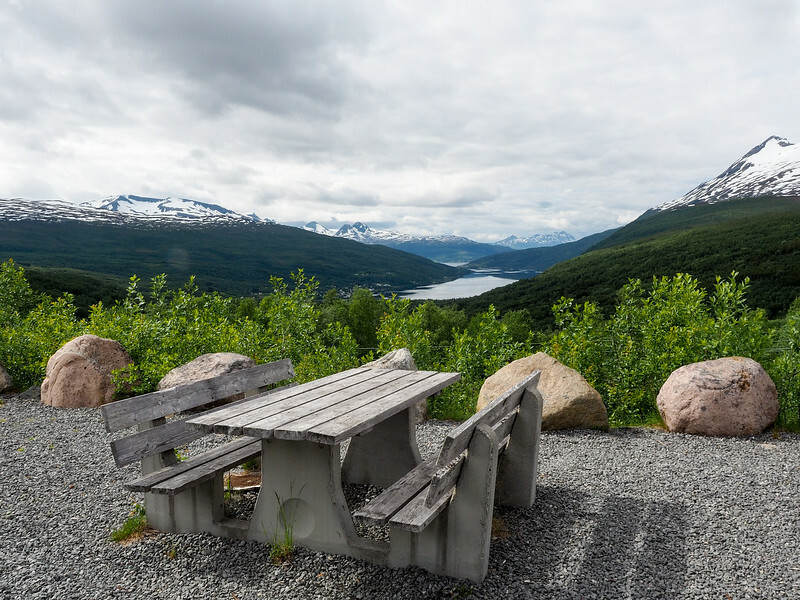 If you bring a picnic lunch with you (highly recommended for today), stop to eat it at the Tungeneset rest stop back on the tourist route, which includes a wooden boardwalk that leads to an incredible view of the razor-sharp Okshornan peaks. 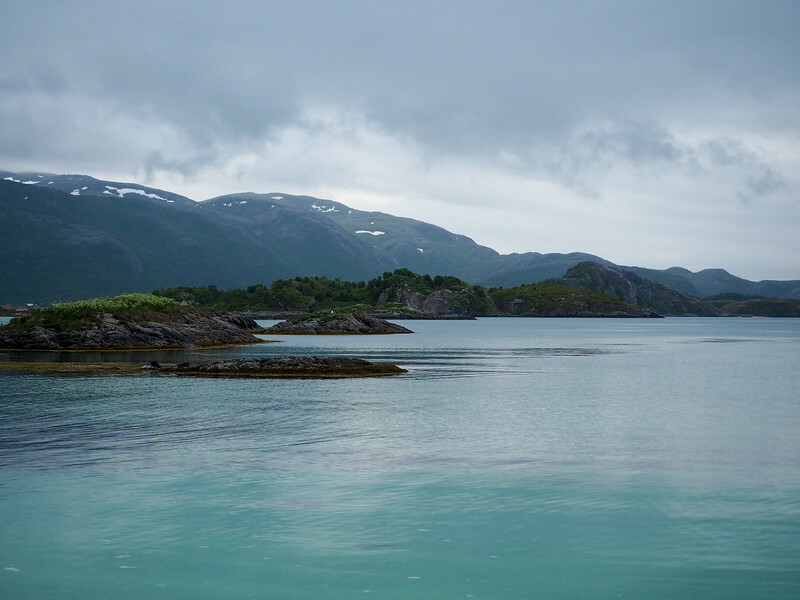 Lastly, the drive to the town of Husøy is one worth taking. Not only is the drive itself incredible, but Husøy is a pretty unique spot. 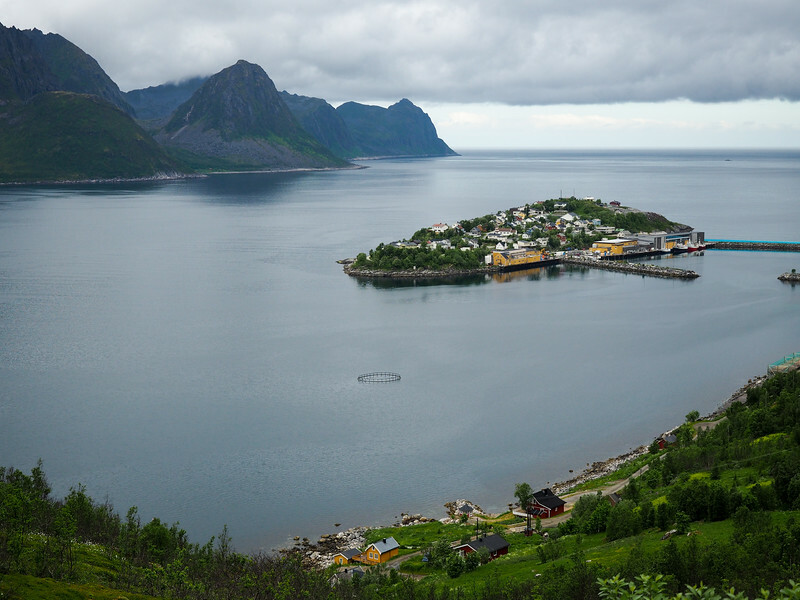 It's a tiny island in the middle of the Øyfjord that is home to Senja’s most active fishing community. The views here are very Lofoten-esque! From here, you can more or less retrace your path back to Hamn i Senja. Costs: None! You can see all this stuff for free. 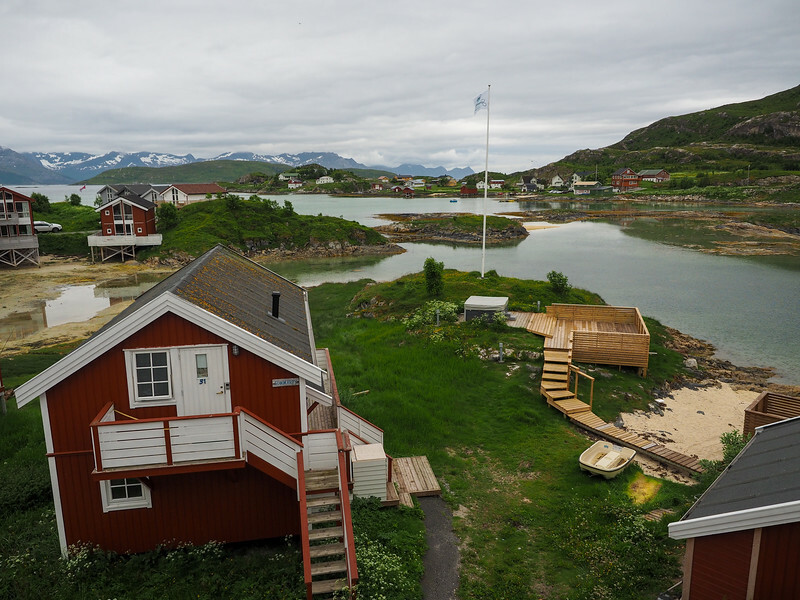 Where to stay on Senja: Hamn i Senja again, because it's definitely worth two nights. 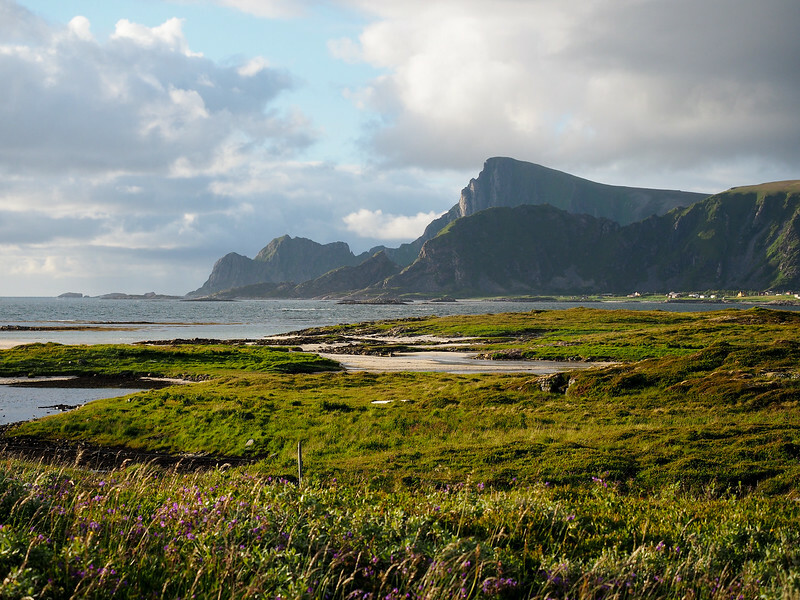 Today you'll be saying goodbye to Senja and hello to the Vesterålen Islands. In order to get there, you'll need to catch another ferry. The ferry from Gryllefjord (Senja) to Andenes (Andøy, Vesterålen) only operates during the summer months (from late May to late August), and only runs a couple times per day. This means that the ferry can be busy, and that you definitely want to get to the ferry port in Gryllefjord early. I had heard horror stories before my trip of people not getting to either Gryllefjord or Andenes early enough and missing the ferry they wanted to take because it filled up. Not wanting to miss my ferry, I got to Gryllefjord more than two hours before my 11 a.m. ferry. There were already about 10 cars in line when I got there. I will say that everyone who showed up for the 11 a.m. ferry that day did get on, but I don't regret going early in order to give myself some peace of mind. I passed the two hours I had by buying snacks at the grocery store at the ferry port, walking around the nearby harbor, and taking a short nap in my car. 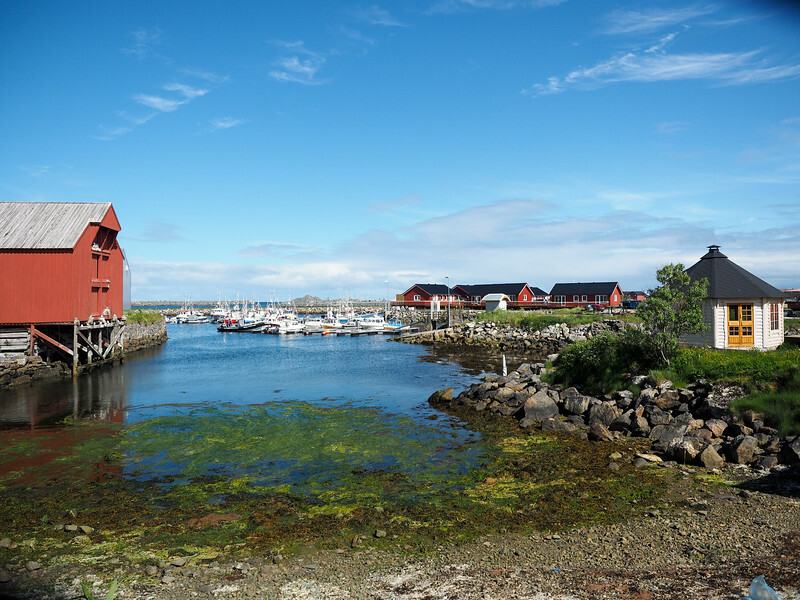 The sun was shining when I got to Andenes, and I headed straight into the town to grab lunch at Strøm Eriksen cafe and explore a bit. 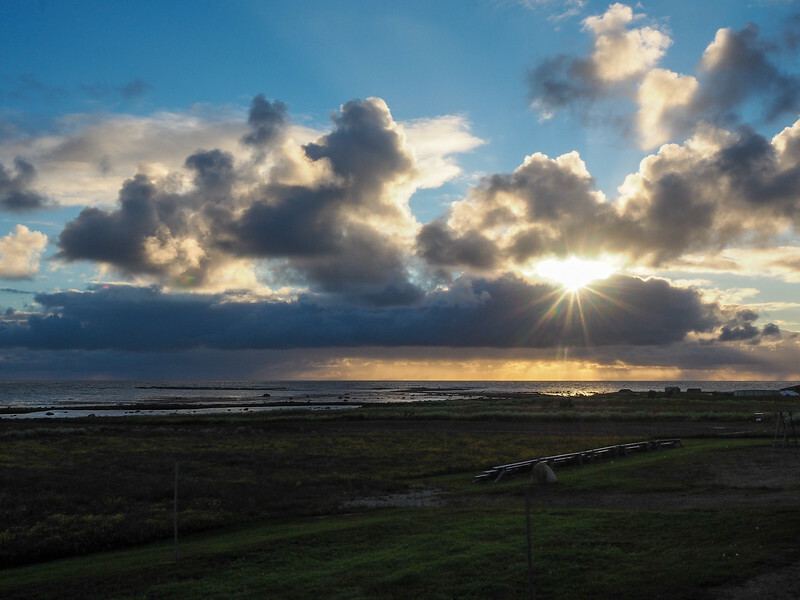 It's worth it to walk to the Andenes Lighthouse for the craggy coastal views. 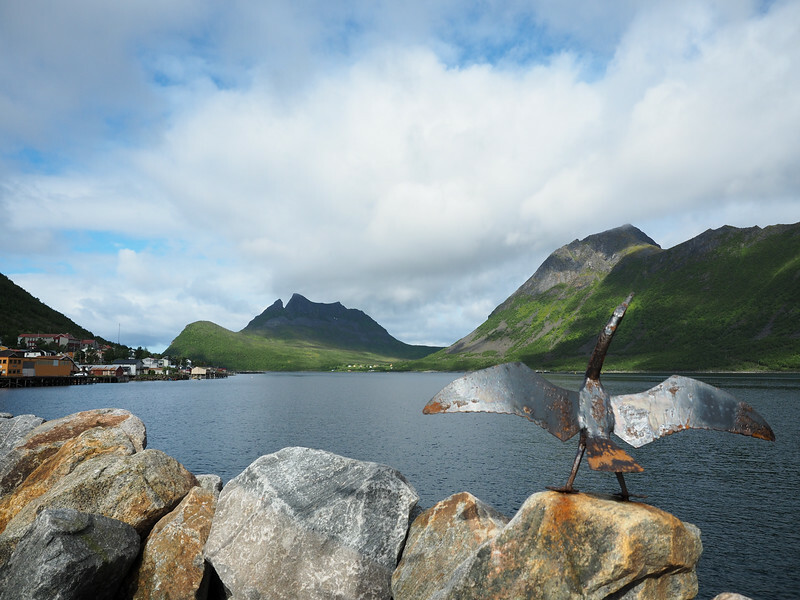 IF you're up for an adventure this afternoon, Andenes is most well-known for its whale watching. 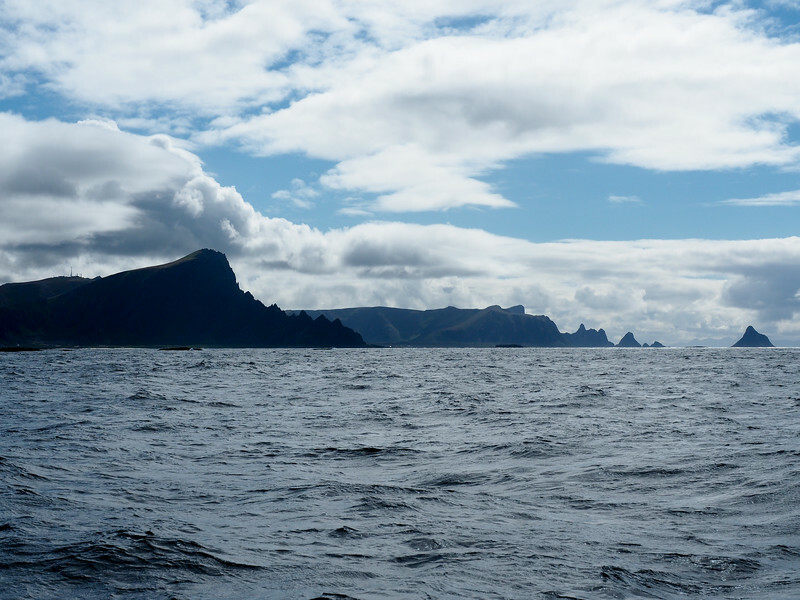 Due to its close proximity to the continental shelf, you can usually see whales in this part of Norway year-round. I headed out for an afternoon tour with Whale Safari. Unfortunately, my group was in the 2% of tourists who end up NOT seeing whales on one of these tours, but most people do. Heading out to find whales… or not. 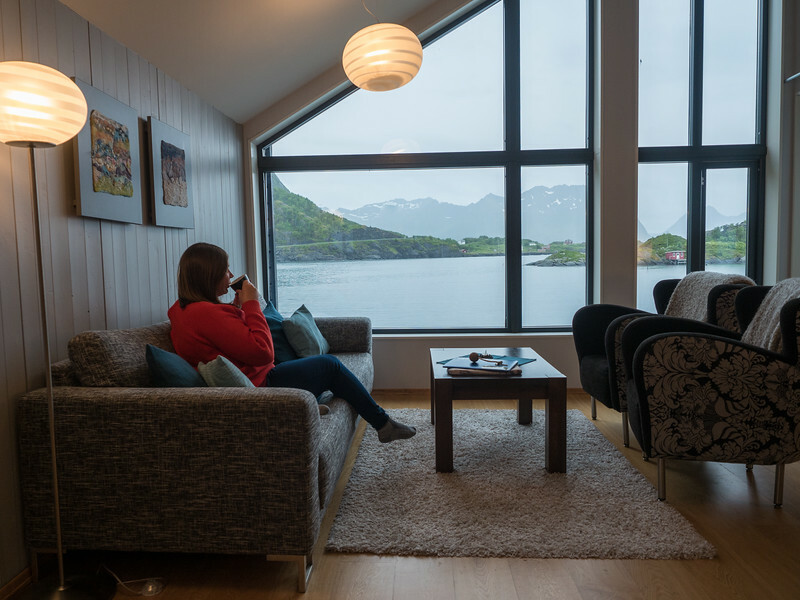 If you want a better chance of seeing whales (and calmer seas), you might want to consider staying in Andenes and booking your Whale Safari tour for the morning of Day 5 instead. 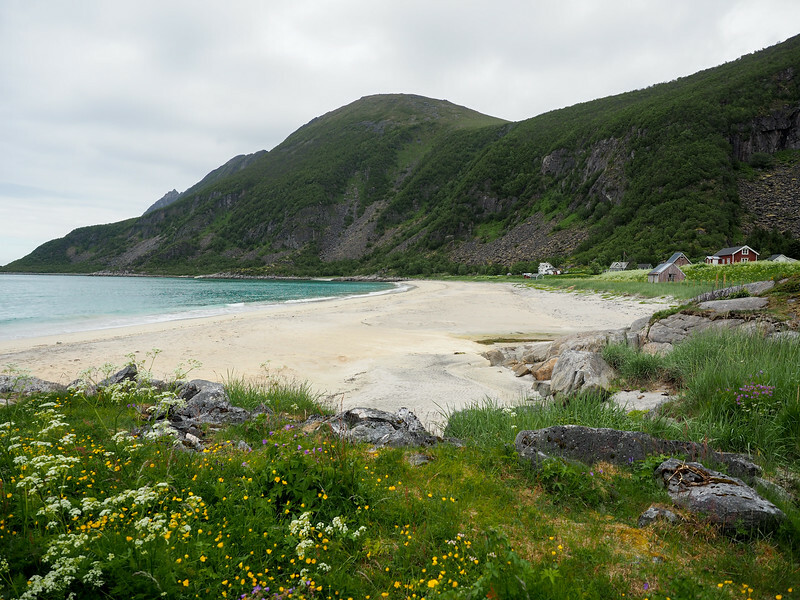 I, though, actually drove an extra hour down Andøya's National Tourist Route to Bø i Andøy, where I stayed the night. 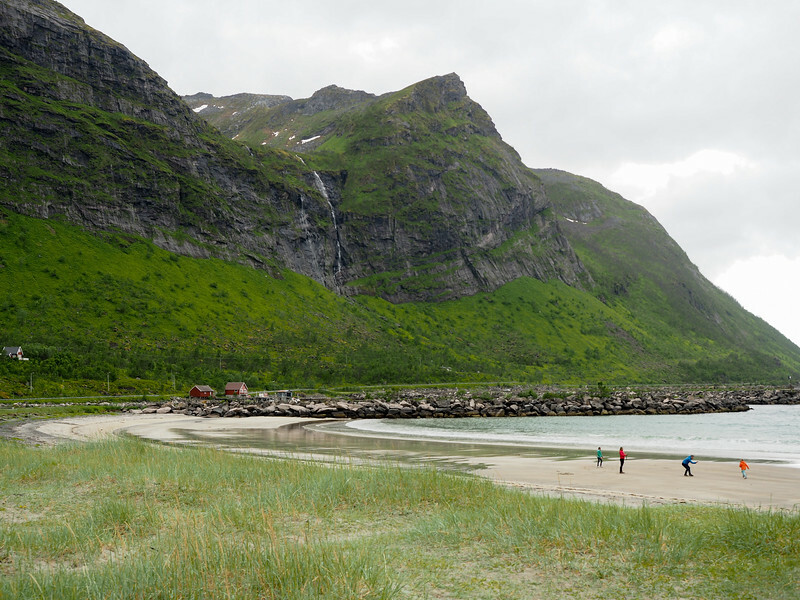 The good news about traveling in northern Norway in the summer months is that it stays light almost 24 hours per day – meaning you can still stop to take pretty beach photos even when it's past 9 p.m.! 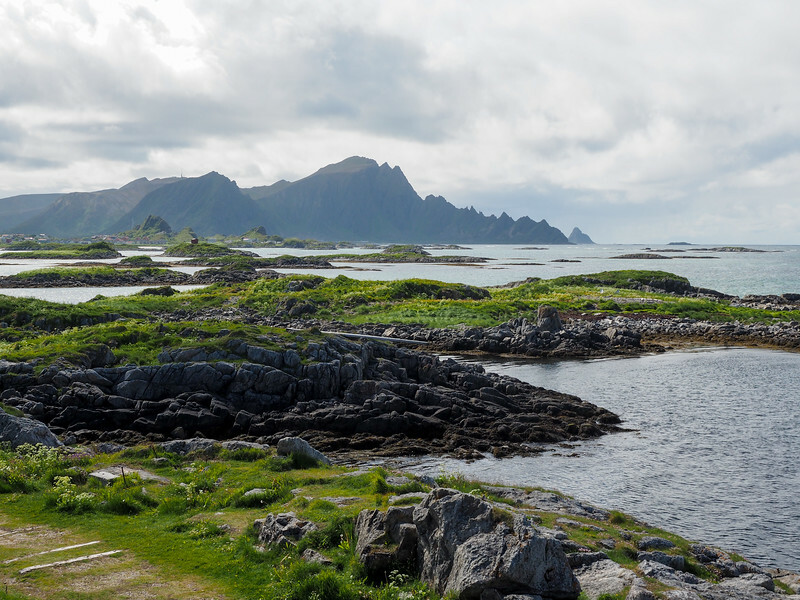 If you stay in Andenes on Day 4, you may start your day with whale watching, or at the very least a drive down the length of the island of Andøya on the National Tourist Route. 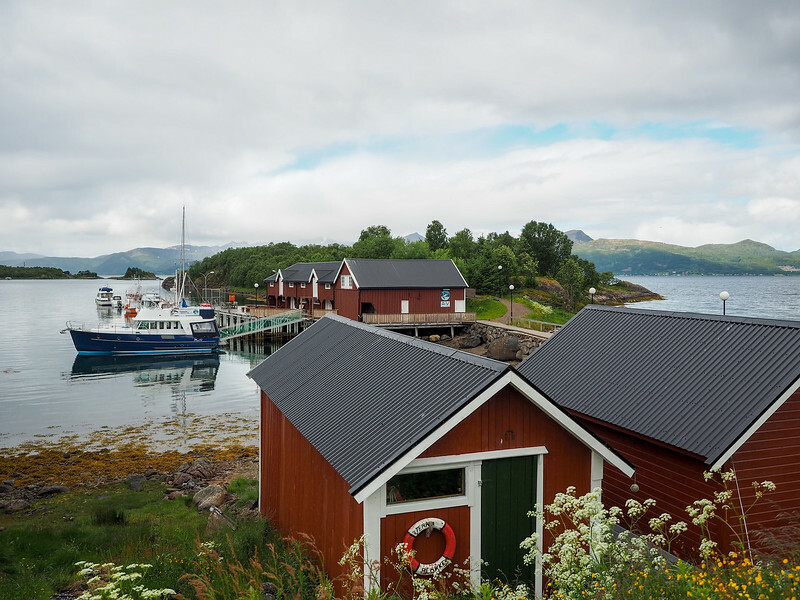 Your final destination today will be the town of Stokmarknes on the island of Hadseløya, but I recommend detouring to visit Akvakultur i Vesterålen in the village of Blokken if you have time. 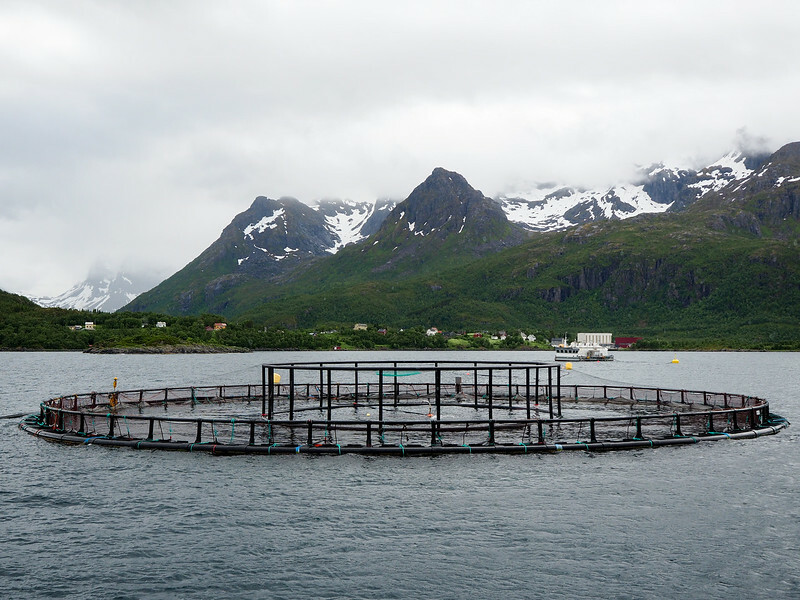 Akvakultur i Vesterålen will give you an informative and up-close look at salmon farming in Norway, which is swiftly becoming one of the country's lucrative industries. I'll admit that I didn't immediately think visiting an aquaculture farm would be all that interesting, but it was actually really cool! First you learn about salmon farming, then you go out on a boat to see a real fish farm, and then you get to taste some smoked fish (yum!). 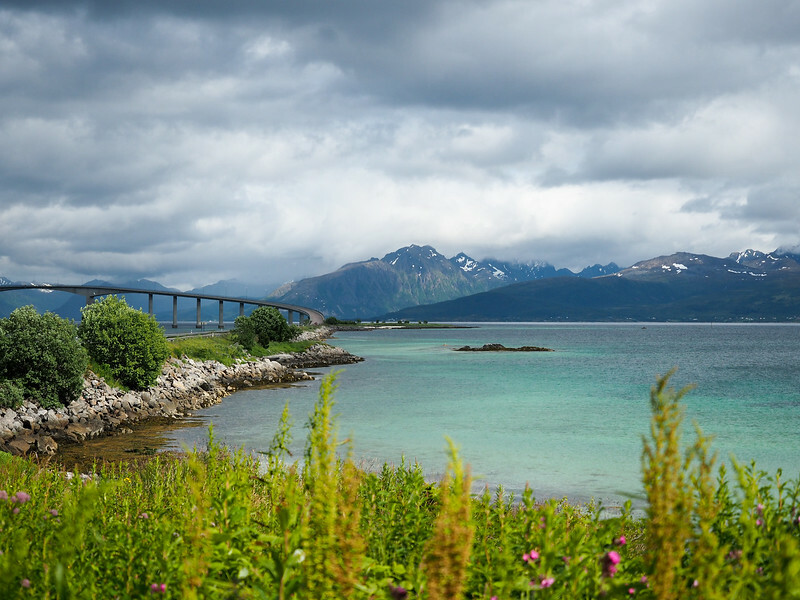 From there you can continue on through the island of Langøya and across a couple of very cool bridges to Stokmarknes. 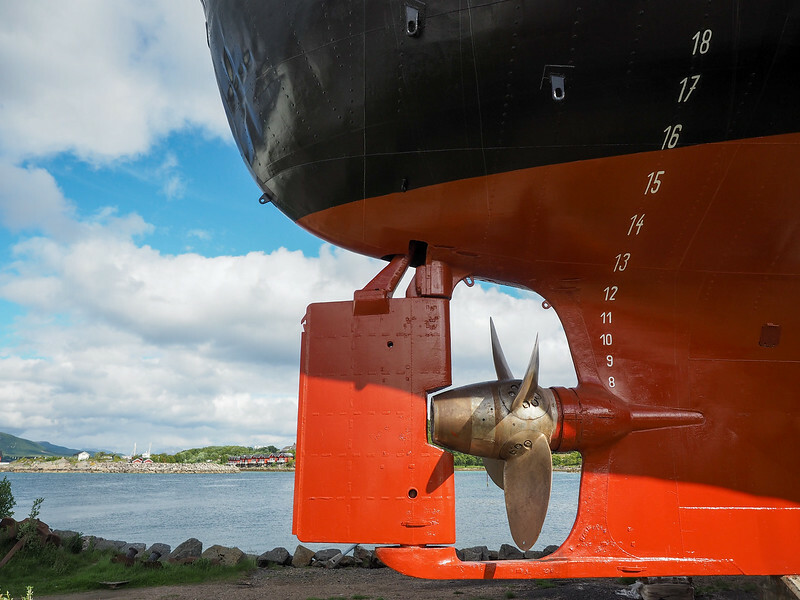 Stokmarknes is the “home” of Hurtigruten, the ship line that sails up and down Norway's coast. As such, there's a cool Hurtigruten Museum here that's worth visiting if you have time before dinner. Or, you can just spend some time exploring Stokmarknes and enjoying the views. Even though you could easily backtrack and take a couple more days to get back to Tromsø, you can do it via a different (more inland) route in less than 6 hours. I took this way back as it was quicker and allowed me to see even more of this part of Norway. If you go this route, you can plan to fly out of Tromsø this evening. 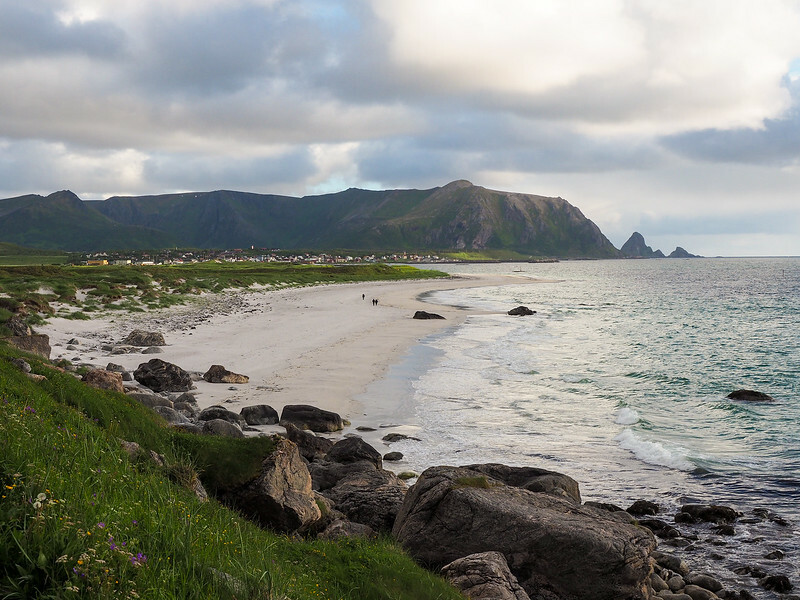 OR, of course, you could continue south into the Lofoten Islands for even more of a road trip adventure! 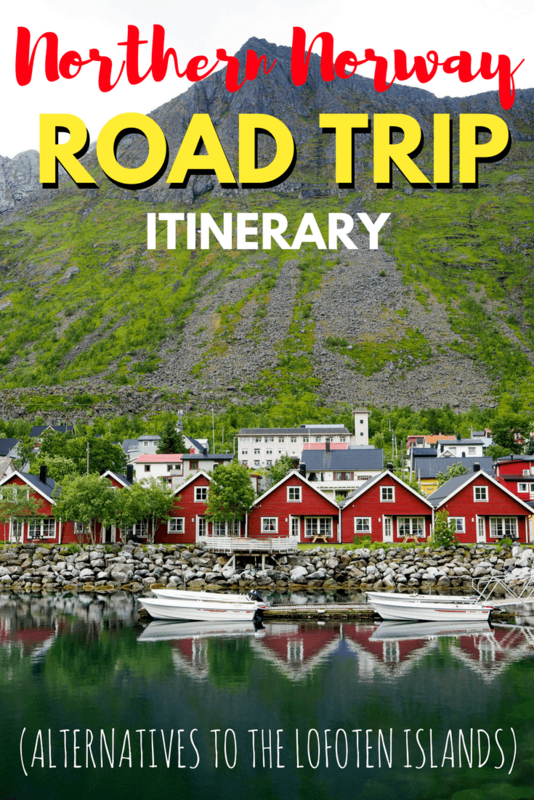 This Northern Norway road trip itinerary ended up being perfect for me. Short driving times meant I could fit a lot in, but still only needed to rent a car for 6 days (and, considering that rental cars aren't cheap in Norway, this was ideal!). And the best part was that a lot (if not most) of these places still felt quite undiscovered in comparison to other spots in Norway. 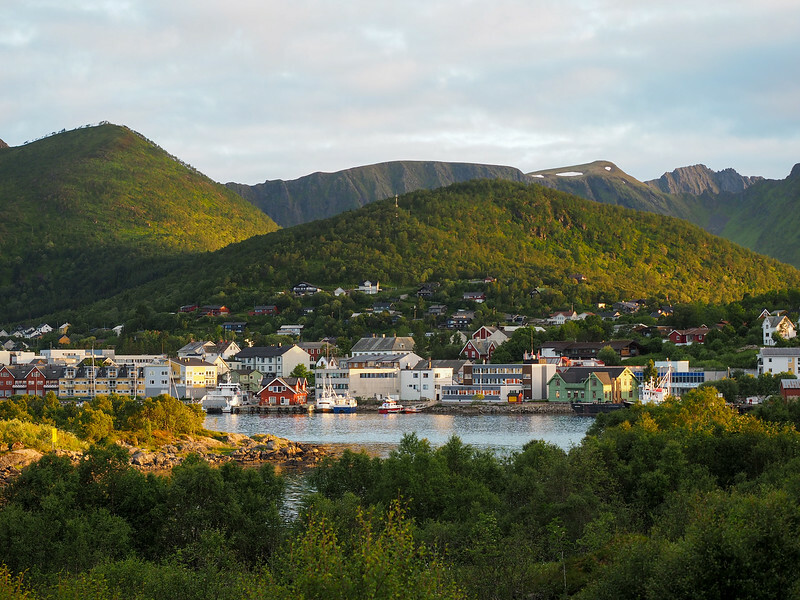 You won't run into a ton of cruise ships or large tour groups in Senja or the Vesterålen Islands, making this part of Northern Norway a great option for those who want stunning coastal views without the tourist crowds. Who's ready to plan their own trip to this part of Norway? 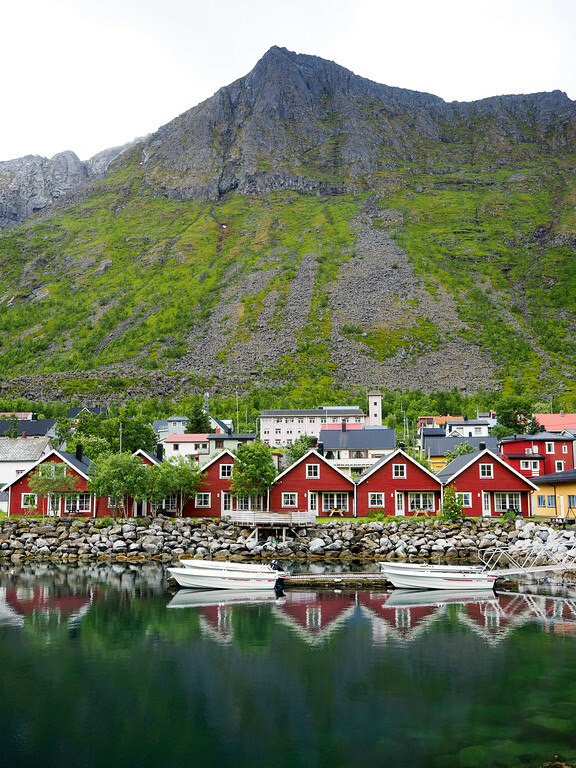 *Note: This trip was in partnership with Visit Norway and Visit Northern Norway. As always, though, all opinions are 100% my own. 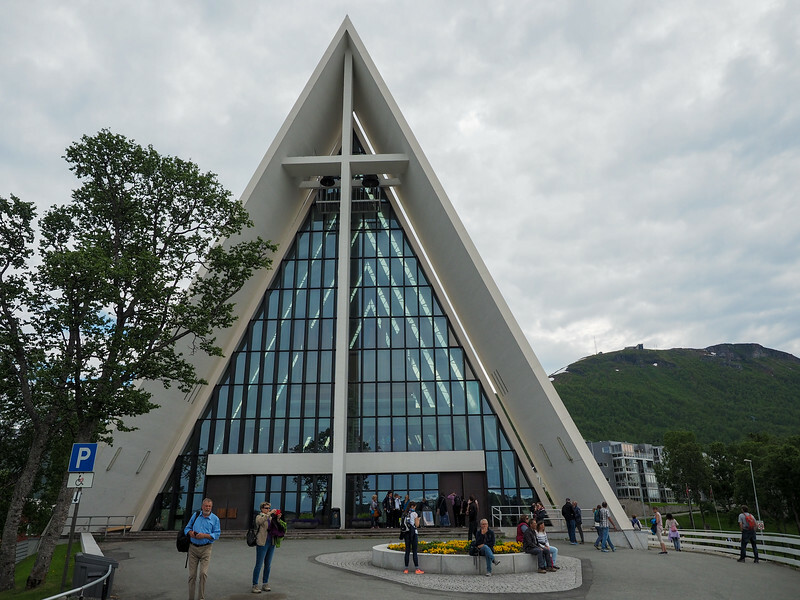 My wife and I were in Tromso the weekend of August 11th after spending two weeks in Finland. To say it was an absolutely gorgeous area is an understatement, we spent Saturday exploring the outer areas along the Norwegian Sea and still are marveling about it today. At some point we would love to go back and travel south to the places you stayed. Thanks for the article! It’s such an amazing part of Norway (and the world, really!). Glad to hear you got to get a little taste of Tromso! Wow, Hope you enjoy your day and please continue to write such great articles!!!! The beach photos are stunning. Actually, all of the photos are! What a bummer about the whale watching cruise. I tried to go on one a dozen years ago, somewhere in New England. The boat had some problems and we had to return to dock. I still haven’t seen a whale! I love all of your photos! Norway is incredible, I’ll be going there again next summer – to the Lofoten as well as the Vesteralen Islands if things go as planned, and then all the way up to the North Cape. 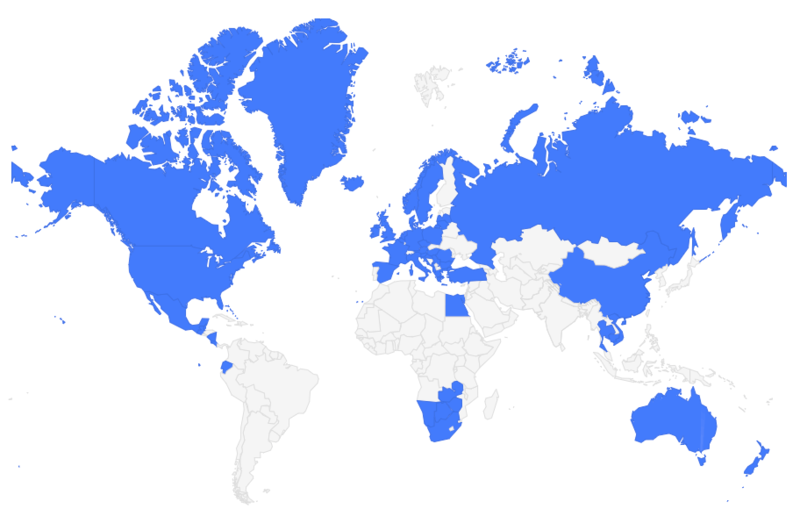 I’m super excited, and I’ll certainly try to visit some of these places you mentioned! Awesome! Hopefully you can get some ideas from this post, as some of these spots aren’t really on the typical tourist trail! I know now what you mean by Lofoten-esque and WOW that natural filter. Shot after shot of such beautiful sceneries. If you ever need a travel buddy to take your photos on your next trip, I’m here! I’m also here to be there 2 hours early for every ferry, to indulge a little extra for that room with a view and for every short hike (lol, just the short ones) to take all of it in! I’m ready! The photography looks lovely Amanda. I can’t remember, but have you been to Norway in the winter between December – March, as I’m already booked up for next summer! Or would you say that summer is best? I know! Especially up around Sommaroy, the color of the water was just insane! Yes, bookmarked! I always love posts about places that are slightly off the beaten track. I might visit Norway next year with my mum in the winter, so we won’t be island hopping. It’s still nice to know what the opportunities in the area are though! It looks absolutely stunning. I recently got back from a trip through the fjords north of Bergen and I have to say, it wasn’t at all busy there either. Some of the places we stayed felt like ghost towns (but very pretty ones!). 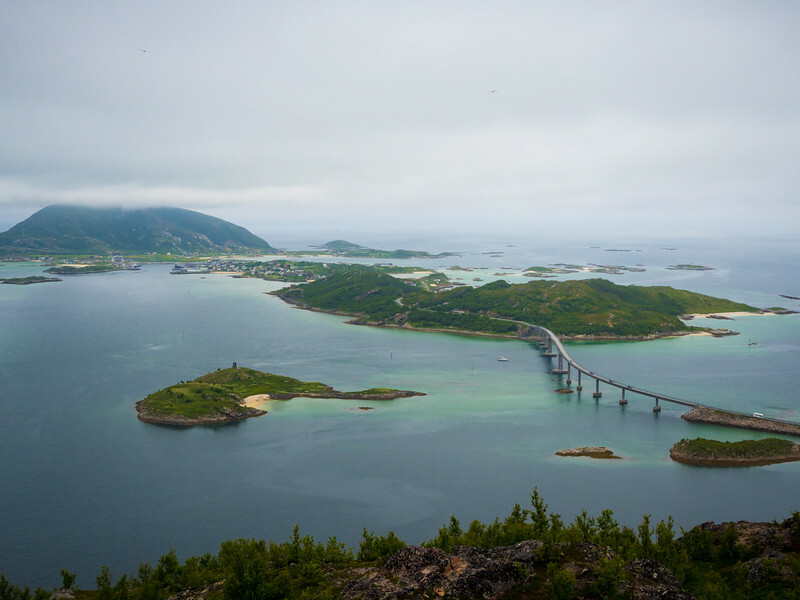 Have you tried the postal boat in Solund? Good to hear! I think, though, that generally as soon as you get outside of the most popular spots, there are immediately less people! Norway is, after all, a very big place. And nope, haven’t tried the postal boat! Lovely. I’m back in Norway next June and will certainly make it up North. I was in Norway earlier this year and enjoyed the drive from Alesund to Kristiansund via Geiranger. What absolutely stunning vistas! Norway is definitely not ugly! Every part of the country has its own really unique beautiful spots. This is amazing! My friend and I are planning a road trip to Northern Norway this summer and this is very helpful, we do however wanna go to Lofoten! I was just wondering what budget should we have for this road trip? Hi Raya! So, summer travel in Norway is going to be a bit pricier, and I would definitely start looking for accommodation (especially in Lofoten) NOW! Budget totally depends on the length of your trip and how you’ll be traveling; hotels in Norway usually run $100-$200 USD per night, but it’s the rental cars and food that are super expensive. A dinner in a restaurant can easily be $30-$40 USD per person, and rental cars usually run more than $100 per day during high season. So I guess keep that in mind when you’re planning! I plan to do this trip, exactly the way you suggest with this itinerary. Where did you go to book a rental car? Can you take the car with you on a ferry? Or do you have to hire a new car each time you arrive in a new place? I rented my car from the Tromso airport (and dropped it off there, too). The best way to rent one is just to go online; there are a handful of companies that rent from Tromso. And yes, you can take the car on ferries. Just note that some of the ferries on this route can get crowded in the summer (I arrived 2 hours early to get in line for the Gryllefjord to Andenes ferry), and that they are kind of pricey! A very tempting self drive trip . I am planning to follow this same trip in mid September 2018; are the ferry lines still open during that period ? What’s the day light hours like during that time? Hi Sharon – I think many of the ferries only run regularly through August, so I would recommend checking with the ferry sites directly! I just wanted to say a big thank you for this post! My boyfriend and I just got back from a trip to northern Norway using your itinerary as inspiration, what a beautiful part of the world! 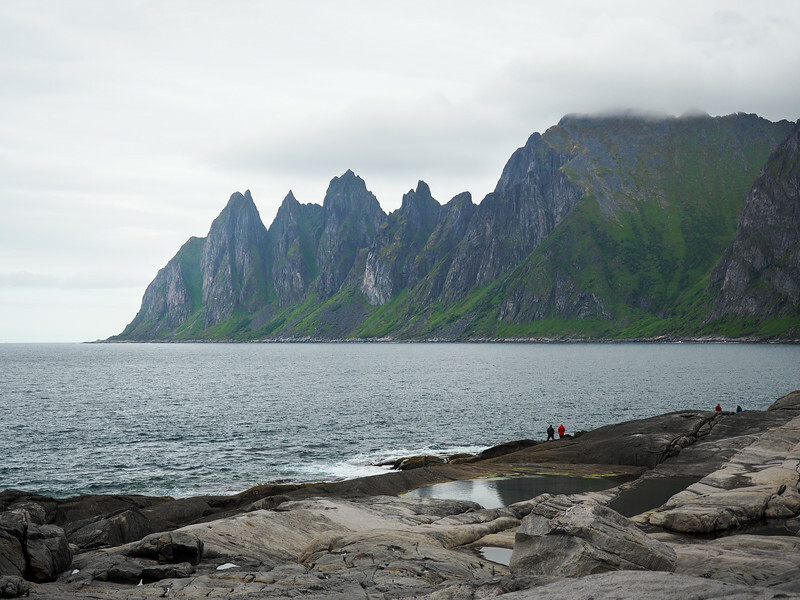 We totally fell in love with Senja and did some amazing (and slightly scary) hikes there. 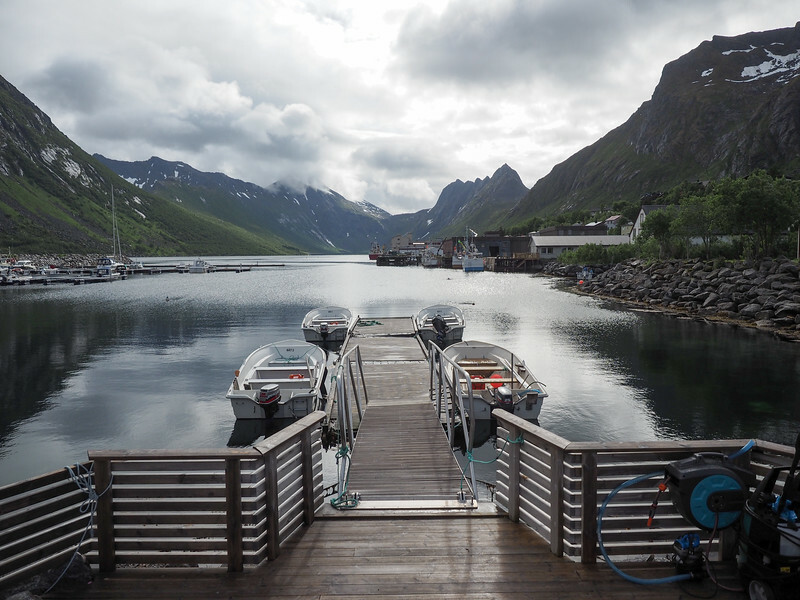 Following your recommendation we stayed at Hamn i Senja which was just gorgeous. Your ferry tips were really useful too – we arrived almost 3 hours early for the ferry to Andenes and there were already 5 cars there. If you’re ever back in the Vesteralen islands, I recommend booking one of the hot pools at Stave Camping, it was such a relaxing way to enjoy the midnight sun. So happy to hear this, Shannon! I think this is a very overlooked part of Norway, so it’s awesome that you spent some time exploring it. I’m so glad this itinerary helped you plan your trip! Thank yoy, good to know prepering our road trip 2019.